Artificial Intelligence, Machine Learning, Big Data now an integral part of the current landscape. Arguably no sector was impacted as much by these developments as the Fintech. Has the time come for traditional retail banking to reinvent itself? Can the next generation of banking newcomers shake the industry to the core, and what do traditional banks have to say about it? It’s time to shed some light on these pressing topics. This conference will gather fintech experts/innovators that will share their thoughts and insights on the state of the affairs and the problems the new banks face. 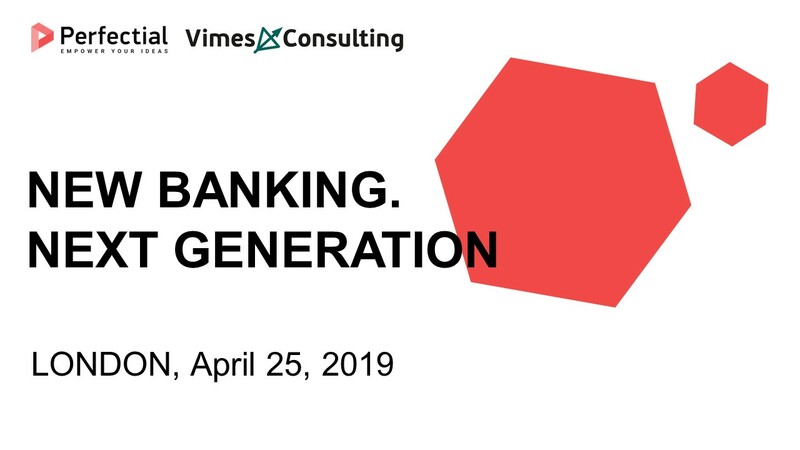 They will discuss how financial institutions can transform in the digital era and benefit from AI, Big Data and Machine Learning while delivering value and improved service to their clients. IMPORTANT. This a free event and is aimed at the members of fintech, new banking, digital banking, and VC community. Once registered you will receive a separate confirmation that you are registered for the event. YOU MUST RECEIVE THIS CONFIRMATION TO ATTEND. To speed things up we would kindly request that you register using your corporate email and fill the registration form fully. With years of experience in custom software development, Perfectial offers businesses, large and small, web application development services along with design and UX, cloud & SaaS expertise, and mobile app creation. As the official partner of the event Perfectial offers a free initial consultation to all registered participants with regards to your New Banking or other Fintech requirements. Please use Contact form here. London based boutique consultancy specialising in market research, strategy development and due diligence. Utilising our local presence and extensive experience we help to build and take advantage of the long term opportunities between UK and Ukrainian markets.